Moalboal is a fourth class Municipality in the Province of Cebu. A peninsula extension in the southwestern part of Cebu, Moalboal is bordered to the west by the Tanon Straight and Negros Island can be seen panoramically. Moalboal is located about 89 kilometers from Cebu City, which will take about 2 and a half hours by bus. This amazing town is nestled between the towns of Alcantara and Badian and has a perfect view of Badian Island and Pescador Island. 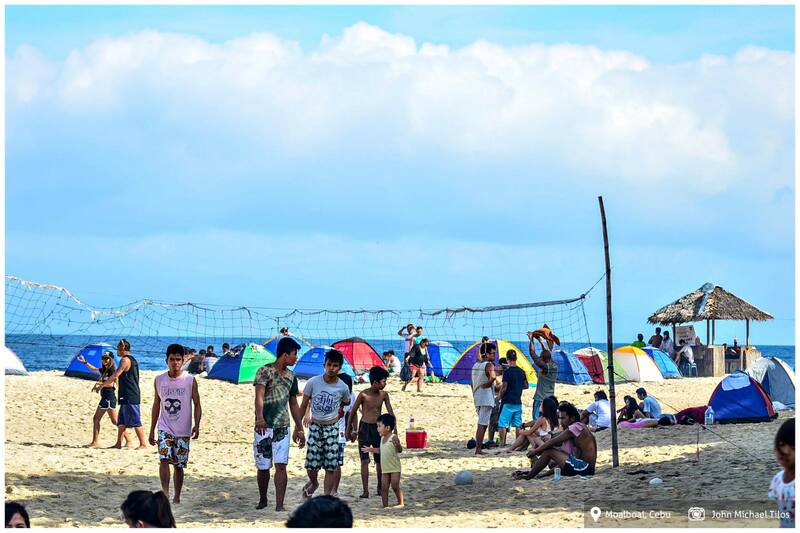 Though the pristine white beaches of Basdaku is only 7 kilometers away from town proper, it is still advisable to bring enough money with you to avoid the hassle of going back just to get money. I believe there are a couple of banks available in the town proper and several money remittance firms. There are several airline companies that service trips in and out of Mactan Cebu International Airport (CEB). There are international trips that will ease up the travel from abroad to Cebu without having to pass by the Ninoy Aquino International Airport (MNL). Airfares to and from Mactan Cebu International Airport are subject to airline regulations. Make sure to read the terms and conditions before booking any tickets. Cebu’s airport is located in Mactan or Lapu-Lapu Island, which is home to several favorable international resorts and casinos. It will take you about 30 -45 minutes (depending on the traffic situation) to get from the airport to the south bus terminal. Prepare about PhP 200.00 for the taxi fare. The South Bus Terminal of Cebu is a short taxi ride from downtown Cebu and should cost you about PhP 50 – 80, depending on your location around the downtown area. 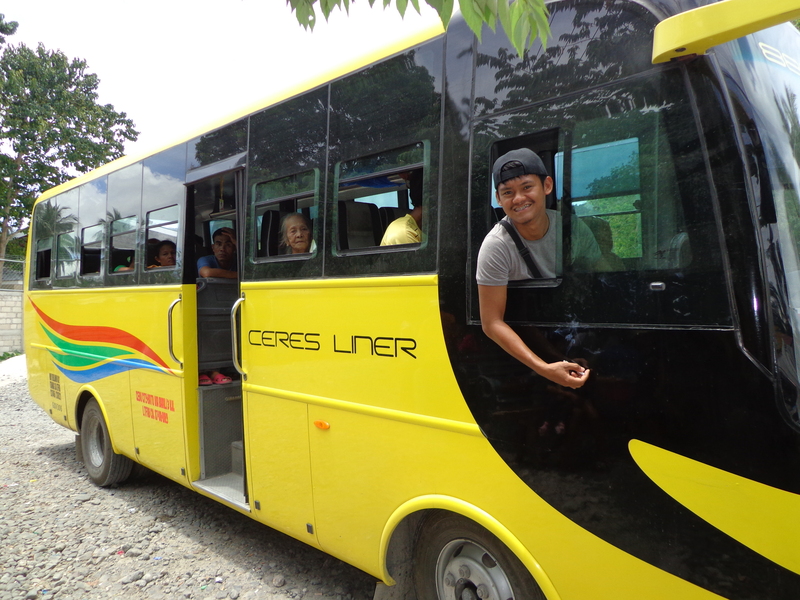 There are several bus companies that ply through the Moalboal via Carcar Route. This should cost you about PhP 75 – 100.00 per head and way. If you’re traveling from Dumaguete City, you should find trips (multicab/easy ride) from Dumaguete Public Market Building 3 to the Port of Sibulan, Negros Oriental. 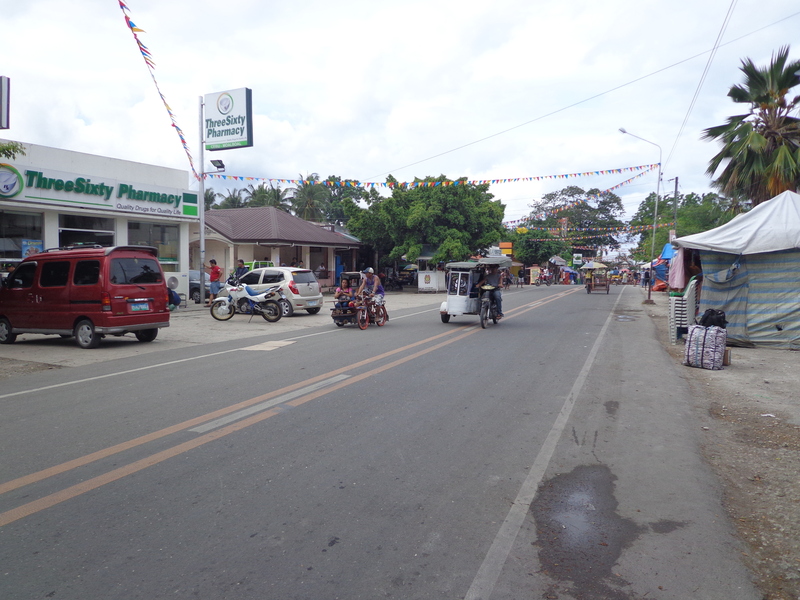 Sibulan is a town next to Dumaguete that faces the southernmost tip of Cebu Province. The ride should cost you about PhP 20.00. There are two types of sea vessels that travels from Sibulan, a pumpboat and fast craft. Be sure to choose fast craft because it will take you directly to Lilo-an port. The fare costs PhP 62.00 per head and way. Upon arrival at the Lilo-an port, go outside the gate and wait for a bus (whether Ceres Liner or Metrolink) that shows Cebu-Bato route. You will need to tell the driver to drop you off at Bato Terminal. This will cost you PhP 25 – 30.00 per head and way. In the terminal, choose the bus that will take you to Cebu City via Alegria and ask the driver to drop you off the Moalboal proper. This will cost you PhP 75.00. 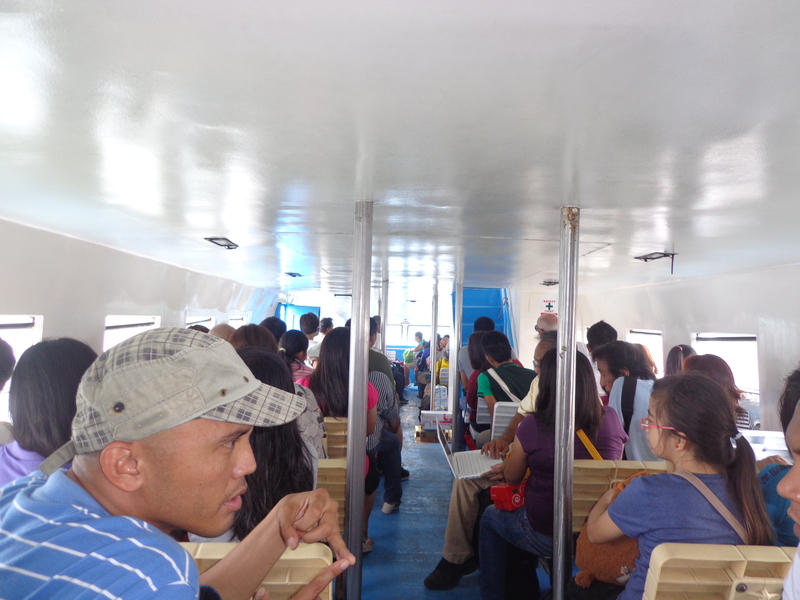 If you’re traveling in a group, it’s better to take multicab or easy ride from Moalboal proper to Basdaku. If you’re traveling alone, just take the tricycle. If you opted for multicab, it will cost about PhP 25 – 30.00 per head per way but you have to have at least 6-10 people in your group. The same price applies to tricycles. You can contact Albert if you intend to rent a multicab or easy ride through +63 (923) 820-5096. There are several accommodations available in Basdaku. Rates range from PhP 800 – 3,500.00 per room, which is good for 2 – 4 people. During peak season, expect this to increase. Table rentals costs about PhP 150 – 300.00. Cottages cost about PhP 300 – 600.00, which is good for an overnight stay. There are lots out there who prefer pitching a tent and the local government collects PhP 100.00 per tent overnight. Staying in a tent makes the experience even more amazing because lying on the sand is the closest that you can get to nature. This is equally amazing when its peak season because the whole shoreline becomes a tent city. There are lots of mini-stores and eateries around the area. This means that you won’t have a problem finding food to eat. A serving per person should cost about PhP 100 – 150.00. I always bring my gears with me, everywhere I go! Since Moalboal is famous for its amazing coral beds and awesome drops, it would be advisable to bring your own snorkeling gears. Otherwise, you can rent a pair for PhP 100.00. It is also great if you bring fins/flippers as it will help you with skin/free diving. You can rent a kayak that has a window beneath. This means that you can see the coral beds while kayaking your way through an amazing shoreline. Kayak rental will cost you PhP 300.00/30 minutes. There are several dive shops that you can walk in and inquire about doing scuba diving activities. Just prepare around PhP 2,000 – 3,000.00 per head and dive. This one is equally amazing but can be really expensive, unless if you are in a group. You can have a great deal of paying PhP 2,500.00 for a maximum of 10 passengers. It is better to bring food and water with you to avoid dehydration. Contact Osting for a great deal through his phone number: +63 (905) 660-3015.